At Expert Recruiters, we value the people who continue to refer their friends, family and colleagues. It is the highest form of flattery and is the motivating force behind what we do in delivering exceptional service. When a candidate or a client refers their friend or associate, it symbolizes an appreciation for the work we do. To show our appreciation, we have created a Quarterly Referral Program. The program is to show our gratitude to these respected candidates or clients every quarter in 2018 for their contribution to our success at Expert Recruiters. At Expert Recruiters we truly value the amazing support our Temporary Ambassadors provide to our clients! Our Temp of the Month awards for Quarter 1 go to these great candidates who embody the Expert Recruiters brand! On a sunny Tuesday afternoon in March, Candace and I made way to a Dress for Success, Hope and Style event. Candace, our Senior Talent Executive volunteers her time with the foundation which is a not for profit organization that empowers women to achieve economic independence by providing a network of support, professional attire and the development tools to help women thrive in work and in life. At today’s event, Candace sat on a panel with other industry experts including Marionn Westerland, who is the Career Services Manager at Dress for Success and Carole Rogers, HR Management Professional with the RBC Bank. I was there to observe the conversation and take in the advice given to the women by Candace and the other women that shared recruiting advice. The panel style conversation allows attendees to ask recruiters general questions. During this time the women attending the event had a catered lunch and the opportunity to pull clothes from the closets of Dress for Success for a complimentary interview outfit to take home with them. The ladies then had their hair professionally styled in their new outfits and had their LinkedIn profile pictures taken by a professional photographer. Attendee: Is it okay to talk about your personal life in an interview? Candace: It’s nice to share a little bit to showcase your personality, but don’t overshare. Attendee: I’m currently a stay at home mom and want to get into the workforce again after years of being away, any advice on how to explain this to an employer? Candace: Explain the gap on your resume. Explain that you have been volunteering at your child’s school during the time you’ve been on your break (if you have been). Just be honest. Attendee: How honest should you be with a Recruiter? Candace: 100% honest. It’s nice to know everything upfront. As a consultant I need to know everything, so there are no surprises down the road. Attendee: How often do you look for candidates on LinkedIn? Candace: I’m a big LinkedIn fan because every employer and industry is on there. It’s a great tool because it enables you to connect with people in different industries, create connections rather than just being a resume. Attendee: Do you check other social media channels? Candace: We do, because employers do. We want to ensure what our candidates are putting out into the ether is appropriate. Attendee: As a job seeker, how do you do a job search on LinkedIn? Candace: Organically search roles you’re looking for, follow companies you’re interested in working for. There’s also a way to flag your profile on LinkedIn that says ‘open to opportunities’. You can select privacy options on LinkedIn, however, be cautious not to include pictures. You still want recruiters to find you. Also, make sure your LinkedIn profile is transparent across all social media platforms you use, and your resume. If you’re worried that your employer will find out that you’re looking for a new job, just include the industry you work in, on your resume. Attendee: Is it okay to disclose the salary you want in an interview? Candace: The best way to respond to a question like this is to let your interviewer know that they can speak to your Recruiter as they know the salary you’re looking for. Additionally, you can say that you are open and more interested in the role and then ask what the salary range is for that role. Attendee: What are you looking for on a resume? Candace: I’m looking to see what you’ve done, the industries you’ve worked for, certifications and key words that align with the job description. If you are presenting your resume in person, look professional. Remember even though you might not be able to speak with the hiring manager, the Receptionist will likely be the one to impress, as she will pass your resume on to the hiring manager. Attendee: What do you do when you don’t know what to do with your career? Carole: There are vocational counselors out there who can help individuals one on one. They work with employers to find you a job and employer fit. Attendee: What if you have an emergency come up and can’t make it to an interview? If for some reason you cannot make it to an interview, please call or email your Recruiter to cancel your appointment. Circumstances happen. Even if you can’t use the phone in the moment, call after to let your Recruiter know what happened. Having a fluid line of communication with your Recruiter shows that you respect their time. Recruiters always remember those who don’t call or no show. It’s unprofessional and shows unreliability when presenting your profile to an employer. Attendee: How do you prepare for a job interview? Candace: Everyone gets nervous during an interview, but it’s so important to prepare for each interview you go to, so that you feel prepared. That will boost confidence. Do your research on the organization. The interviewer will be impressed by the way you’re able to speak about the company. Most interviews now ask scenario and behavioural questions, that will usually be delivered as a ‘tell me about a time you…”. Make sure to know the key points of the job, read the job description and make sure you’re applying for jobs that relate to your work experience. Attendee: What is the most powerful way to find jobs now? Is it networking or just sending your resume? Candace: Networking is key. People are generally willing to help others out. Plus, don’t forget that there is a ‘hidden job market”. What this means is 60-80% of available jobs are not being advertised. Finding a job takes time and initiative and can feel like a full-time job. As the panel conversation wrapped up, we said our good-byes to everyone. As an observer, I thought it was a great opportunity for these ladies to have direct access to experts in the industry to answer their questions in a relevant matter. I also think it’s great that Dress for Success offers so much support to empower women into the workforce. The job market is constantly changing, and the expectations change too. In documenting the panel conversation, we hope these tips will also help you in your job hunt! At Expert Recruiters we truly value the amazing support our Temporary Ambassadors provide to our clients! Our Temp of the Month awards for Quarters 3 and 4 go to these great candidates who embody the Expert Recruiters brand! 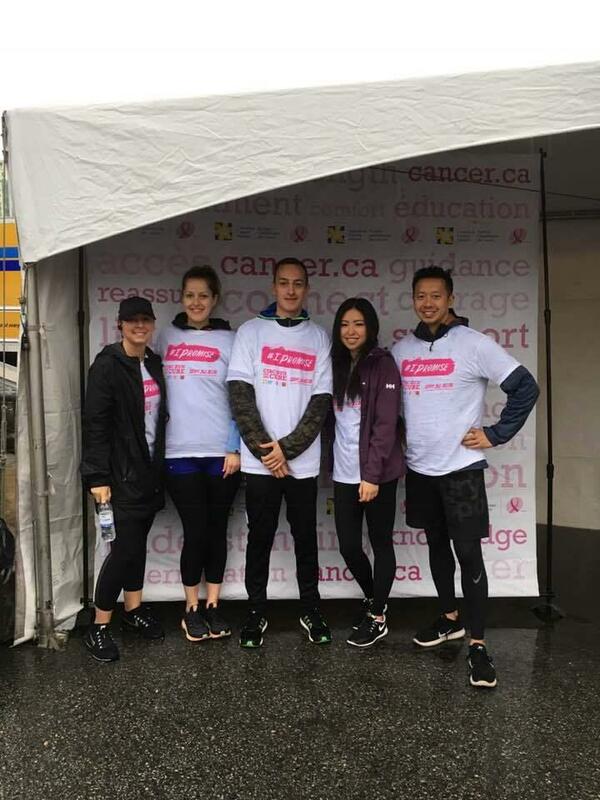 Expert Recruiters had a great time at the Run for the Cure. It was a fantastic day, despite the rain, to be able to run for a wonderful cause. A big thank you to our Temporary Ambassadors who came and joined us for a great cause! 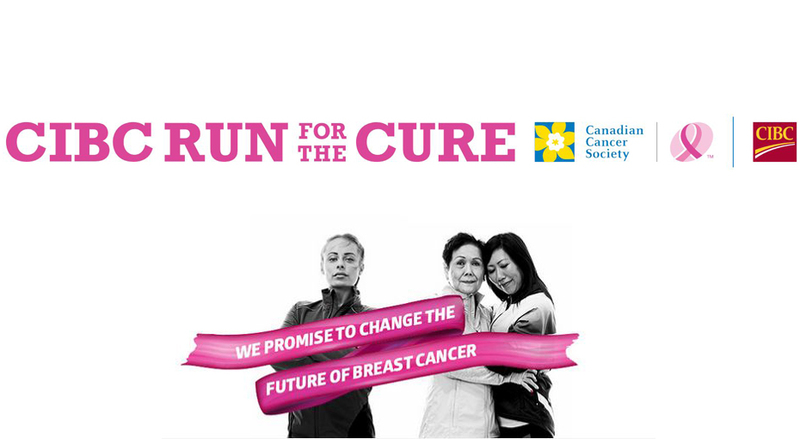 Expert Recruiters is participating in the CIBC Run for the Cure 5K race on September 30th 2018. This is a charity which is close to our hearts and we would love for you to join us for this fantastic event! It is sure to be a great day out and is a chance to make a significant difference to such a meaningful charity. Please email (jobs@expertrecruiters) to let us know if you will be joining us! We look forward to seeing you at the race! At Expert Recruiters we truly value the amazing support our Temporary Ambassadors provide to our clients! Our Temp of the Month awards for Quarter 2 go to 3 candidates who embody the Expert Recruiters brand! At Expert Recruiters we truly value the amazing support our Temporary Ambassadors provide to our clients! Our Temp of the Month awards for Quarter 1 go to 3 candidates who are always happy to help out! The program is to show our gratitude to these respected candidates or clients every quarter in 2017 for their contribution to our success at Expert Recruiters. Finding new ways to make the workplace more efficient is important for all organizations whether large or small and productivity gains throughout the organization starts with productive employees. Expert Recruiters have found a detailed article, published in Tribe HR, about the various methods of increasing productivity in your company. At Expert Recruiters we truly value the amazing support our Temporary Ambassadors provide to our clients! Our Temp of the month award goes to a candidate who always has a smile on their face and happy to help out! There is a saying in the acting business that says “There is no small part only a small actor”. This particular phrase rings true in the office as well. Even what seems like a basic temporary role can make a large impact to a company and even your own career, it’s all in how you decide to approach and work it. Many times the main goal of a temporary job is to become permanent however; that’s not always the case and there are so many other benefits that come from temping. Applying to any and all positions a recruitment firm has listed is not a good strategy, yet a very common mistake. Listed here are some of the reasons why mass applying can do more damage than good. Hiring for your office? Want a hard worker with a roll up their sleeves attitude? Then look no further than a recent graduate that put themselves through school by working in a restaurant, especially those that have been working at the same place or return every summer. Get your Resume Chosen! Do the Recruiters work for them. Often submitting your resume online can be like submitting your resume into a black hole. HR has to review hundreds of resumes for each opening. Therefore, if you want to make the shortlist, you need to standout and, by standout we don’t mean fancy fonts or bright colors. Employers today are looking for candidates who possess a combination of both hard and soft skills. Soft skills are developmental, social and communication skills that can be beneficial not just in your career, but similarly in your personal life. While it’s accurate that hard skills are still very important as they are associated with your expertise and knowledge, soft skills can be even more crucial for your employment success.